Lions Gate Hotel – A Wyndham Trademark Collection Hotel – Where History Meets Modern Luxury is a full-service hotel situated at McClellan Park in Sacramento, CA with numerous buildings, lush landscapes, and iconic sites surrounding the property. 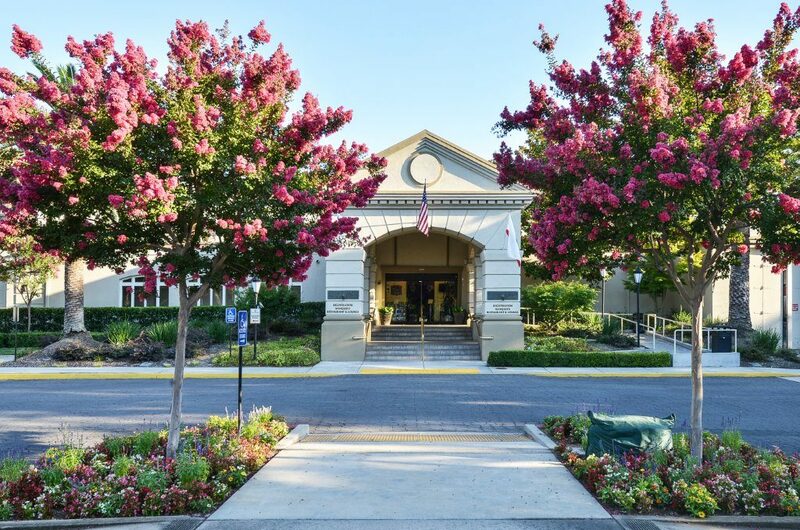 You can take a stroll along the serene neighborhood pathways that are enclosed with scenic over-arching foliage, then venture out to the McClellan Air Force Base to indulge in the rich history and culture of the Air Base. Our staff graciously invites you to stay at our welcoming suites that feature top-of-the-line plush bedding and pillows and modern room decor that will make you feel like you’re sleeping like a king. Or perhaps dine in at the on-site restaurant and bar, The O’Club, for an impeccable, juicy steak dinner and a glass of red wine to top off your evening. Whether you’re visiting for leisure or business travel, our central location makes it ideal for guests to visit popular nearby attractions, such as Old Sacramento, The Golden 1 Stadium, or Downtown Sacramento. Not to mention, the grand ballrooms, sophisticated conference centers, and spacious meeting rooms make it the perfect venue for your next professional or personal event. At Lions Gate Hotel, there’s endless excitement, culture, and fun that awaits your arrival. We invite you with open arms to join us for a freshly roasted cup of coffee in the morning, a comfortable sleep in, and an unforgettable experience where History Meets Modern Luxury. If you’d like to book a room, feel free to make a reservation online or give us a call at (866) 258-5651. We’re always here to make your stay easy and enjoyable.